Applying such type of framework tremendously speeds up the process of making web pages. Common styles are easy to change, which provides a versatile and simple procedure for building site themes. Responsive website design approach makes a website's interface adaptable to a kind of screen resolution. Responsive web design helps to improve consumer experience and give you a maximum access to the website page details from any gadget. It is a website concept that helps high-quality picture clarity with superior pixel density. Your current illustrations and the whole entire content will look sharp and beautiful. Colors are vivid, smart and it makes your site to look much better on any sort of gadget. What is the difference between unique and non-unique Shopify design theme for Couture Clothing purchase? Non-unique purchase:Non-exclusive purchase means that other people can buy the Shopify design theme for Couture Clothing you have chosen some time later. Unique purchase:Exclusive purchase guarantees that you are the last person to buy this template. After an exclusive purchase occurs the template is being permanently removed from the sales directory and will never be available to other customers again. Only you and people who bought the template before you will own it. Can I customize the Ladies Fashion Store Shopify template if that's required by application settings? Yes, you can customize the Ladies Fashion Store Shopify template code, graphics, fonts to any extent needed. Can I resell the customized Shopify ecommerce template for Fashion Store? No, you cannot resell the customized Shopify ecommerce template for Fashion Store as a template but you may sell it as a project to your client (see paragraph 1 ONE TIME USAGE LICENSE for more details). Is it possible to reactivate my download link for Shopify template for Men Clothing Store if it was deactivated after 3 days? Yes. Please re-activate the download link for Shopify template for Men Clothing Store within your account under the Downloads tab or contact our billing department directly regarding that. Can I integrate the Shopify template for Clothing Boutique with third-party software or applications for development of my new products? No, you cannot get the developers license for development of Shopify template for Clothing Boutique or other products. What is a one time usage license for a Shopify template for Retro Fashion? When you buy the Shopify template for Retro Fashion at usual price you automatically get the one time usage license. It enables you to use each individual product on a single website only, belonging to either you or your client. You have to purchase the same template again if you plan to use the same design in connection with another or other projects. When passing files to your client please delete the template files from your computer. Do you provide any scripts with your Shopify templates for Fashion Consultant or could you do some custom programming? Our templates do not include any additional scripts. Newsletter subscriptions, search fields, forums, image galleries (in HTML versions of Flash products) are inactive. Basic scripts can be easily added to a Fashion Consultant Shopify design theme at www.TemplateTuning.com If you are not sure that the element you're interested in is active please contact our Support Chat for clarification. Can I apply a discount code to a discounted Fashion & Beauty Blog Shopify ecommerce template or combine several discount codes together to get better price? Is there any return policy for Shopify ecommerce themes for Fashion Trends ? Requests for a refund are accepted at www.template-help.com/tickets within the period of 2 weeks after the order of Shopify design theme for Fashion Consultant is placed. You should accompany this request with detailed and grounded reasons why you apply for a refund. Please make sure your request does not contradict the terms and conditions specified in the policy. A refund is issued to you upon receipt of a Waiver of Copyright signed by you. What do I receive when I order a Shopify ecommerce template for Fashion & Beauty Store from TemplateMonster.com? 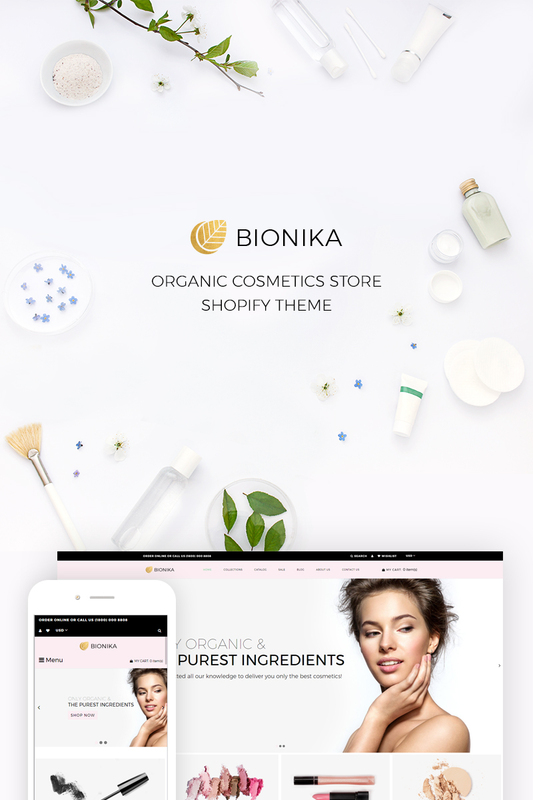 After you complete the payment via our secure form you will receive the instructions for downloading the Shopify ecommerce template for Fashion & Beauty Store. The source files in the download package can vary based on the type of the product you have purchased.If you need unzipping software to open the .zip archive, Windows users may visit www.WinZip.com, Mac users may visit www.StuffIt.com. Can I resell the Shopify templates for Ladies Fashion I bought the extended license for? No, you cannot resell the Shopify templates for Ladies Fashion as is. You can only sell them as the integral part of your new product. Make sure that these charges for Shopify template for High Fashion have different order IDs. If it is so, contact our billing department. Are there any restrictions for using imagery, cliparts and fonts from the Shopify theme for Fashion Designer I purchased? All imagery, clipart and fonts used in Shopify theme for Fashion Designer are royalty-free, if not stated otherwise on the product page, and are the integral part of our products. One Time Usage License and Developers License give you the right to use images, clipart and fonts only as a part of the website you build using your template. You can use imagery, clipart and fonts to develop one project only. Any kind of separate usage or distribution is strictly prohibited. Can I resell Fashion Designer Shopify themes I bought the developers license for? You cannot resell the customized Shopify template for Men Clothing Store as a template, but you may sell it as a project to your client. How many applications, programs etc can I use to integrate with the Shopify designs for Designer Wear under one extended license? The extended license gives you the right to use the purchased Shopify designs for Designer Wear for the integration with one software/freeware/application/CMS/sitebuilder only. In case you would like to use the template with the other application, the other license is to be acquired. Are there any discounts if I'm buying over 10, 20, 30 or more Shopify ecommerce template for Fashion & Beauty Store? Please email to marketing@templatemonster.com with your inquiries about Shopify ecommerce themes for Ladies Fashion Store. Is it possible to use your Fashion & Beauty Magazine Shopify ecommerce templates to develop websites for my customers? Yes. It is perfect for designers who want to offer their customers a high-quality design and also save time and money. Keep in mind that when you purchase the Fashion & Beauty News Shopify ecommerce template with ordinary or exclusive license you're entitled to create only one project (one domain name). Can I use graphics from Shopify theme for Fashion & Beauty Blog I purchased for use in printing? 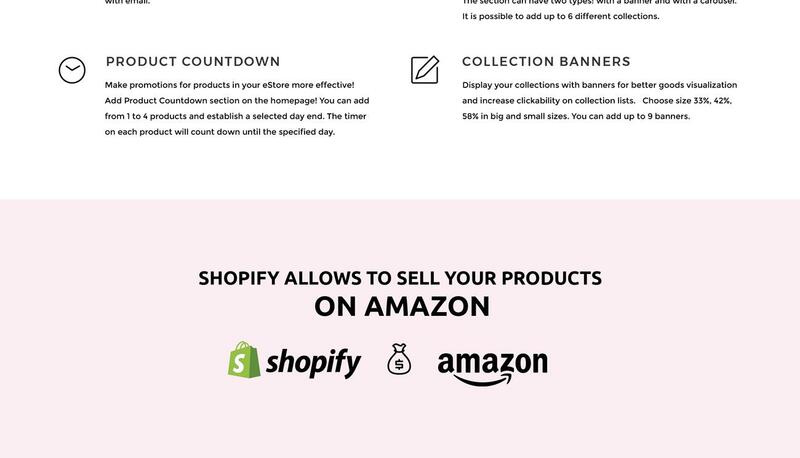 Yes, it's not prohibited to use the Shopify theme for Fashion & Beauty Blog graphics for printed material, but the resolution of the templates graphics ( except for logo templates) is not enough for printing. What is Developers License for High Fashion Store Shopify design theme? If you purchase a Developer's license, you are granted a non-exclusive permission to use the High Fashion Store Shopify design theme on up to 5 domains for projects belonging to either you or your client. Is it possible that Template Monster will contact my client which website I made from Template Monster's website Shopify design theme for Trendy Fashion? Yes, our legal department checks licenses regularly. In case we won't find designer's contact information on the site which was made from the Shopify design theme for Trendy Fashion of ours we will contact the owner of the site directly.